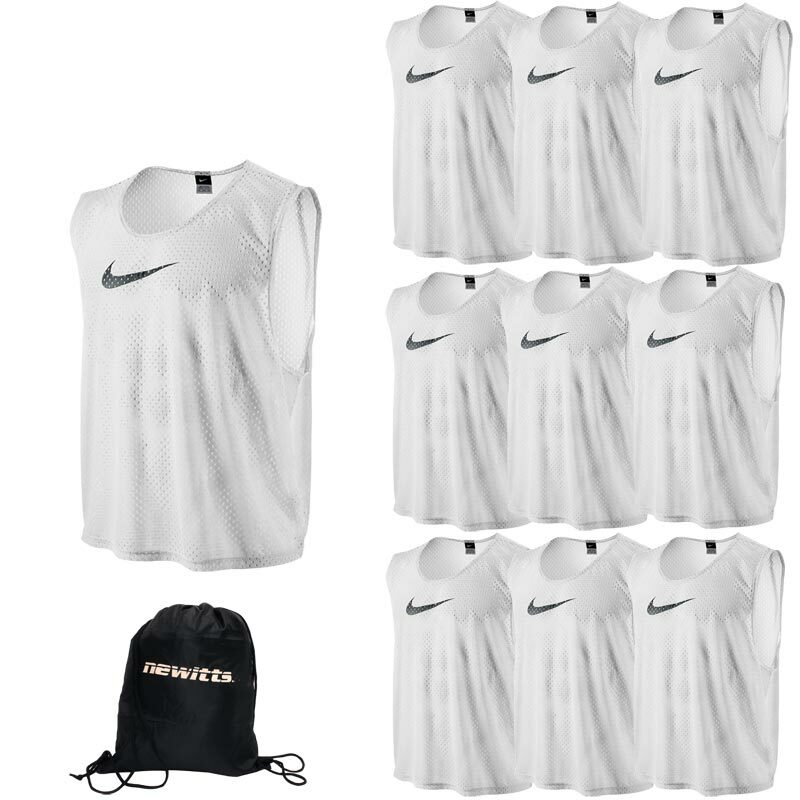 Nike ® Sports Training Bib White 10 Pack is designed for distraction free training with a performance fit that allows for natural range of motion. 10 x Nike Sports Training Bib White. 1 x Newitts Drawstring Storage Bag. XXS | Up to 8 Years | 26"-28" Chest | Bib Height - 42cm. S | 8-12 Years | 28"-32" Chest | Bib Height - 50cm. L | 12 Years+ | 32"-54" Chest | Bib Height - 70cm. Mesh fabric provides lightweight breathability. Generous cut allows for quick side changes. Crew neck design has a non restrictive fit. 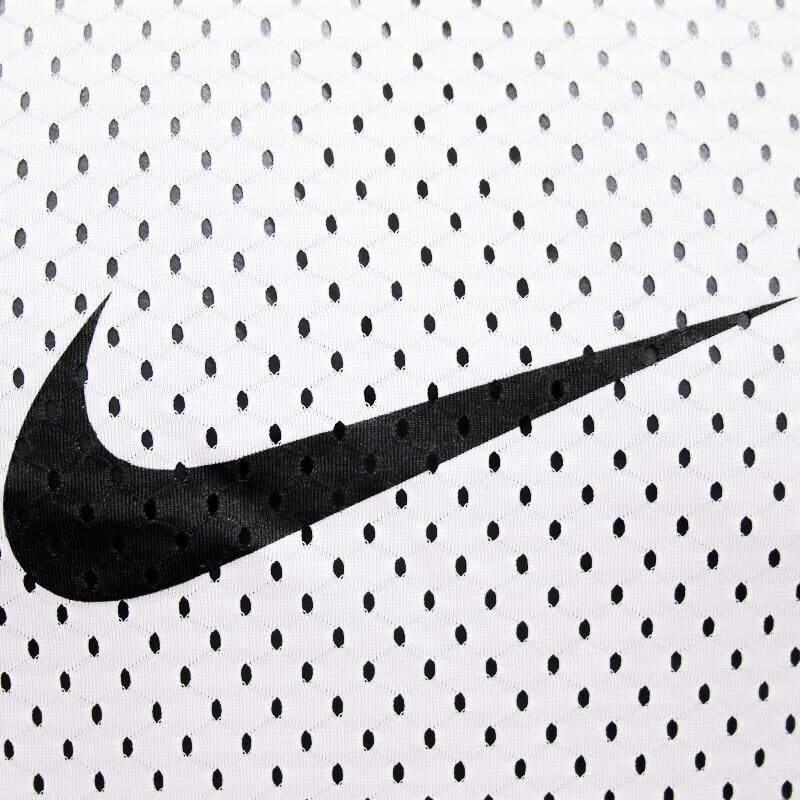 Swoosh design trademark is printed on front. 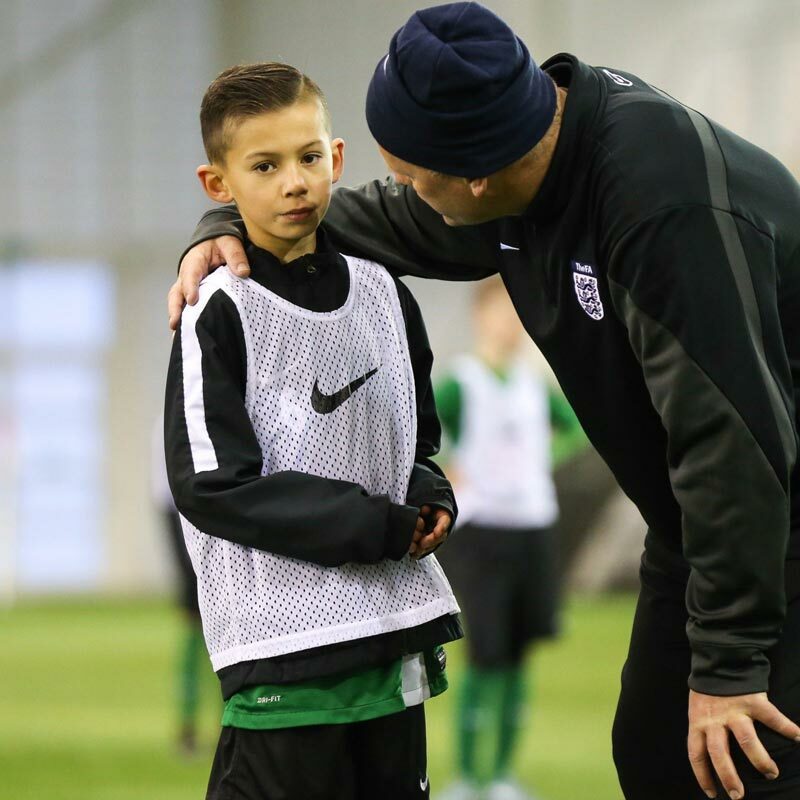 Anticipated availability for the Nike ® Sports training bibs: April 2016 to December 2019. Simply measure your chest all the way round (under the armpit) - taking the tape approximately 2.5cm from the pit of arm, around the fullest part of the chest. Please note the mesh material does stretch.